Biotech Apitope plans to float on the Brussels stock exchange to raise funds to develop a potential new MS drug. The Anglo-Belgian company specialises in producing peptides that are smaller and easier to manufacture than conventional antibody therapies. If successful, the fundraising will help it overcome last year’s setback when Merck KGaA walked away from a research deal on the drug candidate, ATX-MS-1467. A potential advantage over therapies reliant on monoclonal antibodies is that the drugs could be administered through skin injections by patients themselves, rather than in hospitals or clinics. The company has not given guidance on how much it hopes to raise with the IPO, but funds will go towards mid-stage clinical trials of a potential new MS drug, a treatment for Graves’ disease, and several other early stage projects. 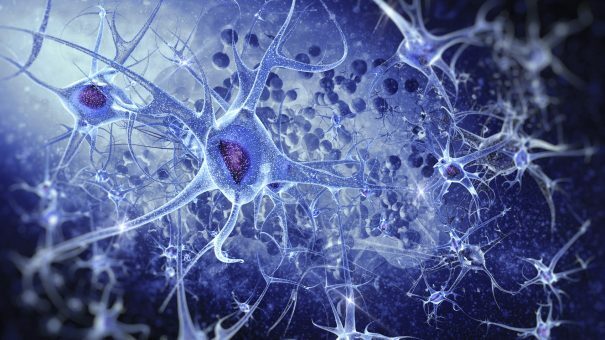 Apitope believes ATX-MS-1467 is a potential game changer in treatment of multiple sclerosis, combining high efficacy with a more favourable safety profile than existing treatments. After Merck KGaA walked away from the deal in October 2016, Apitope unveiled promising data in February showing it could reduce the number of brain lesions in patients. After these favourable phase 2a results, the company is ready to begin phase 2b clinical trials. Apitope also noted that ATX-MS-1467 halted progression of disease and demonstrated a strong trend toward overall reduction in disability. There was also a significant improvement in cognition after six months of treatment, one of the first such reports following immunotherapy in patients with MS.
Current therapies work by blunting the immune system so that it no longer attacks the myelin sheaths on nerve cells, the process which leads to the neurological damage associated with MS. But this often leaves the immune system compromised, and in some cases such as with Biogen’s Tysabri (natalizumab), there is an increased risk of the brain infection progressive multifocal leukoencephalopathy. Apitope is also developing a potential treatment for Graves’ disease, an autoimmune disorder of the thyroid associated with a range of symptoms including irritability, sleeping problems, muscle weakness and bulging eyes. It also plans to begin clinical development of a treatment for uveitis next year, and expects to select peptides to take into trials in the first half of next year. The company also has a drug ready for clinical development for treatment and prevention of factor VIII inhibitors in haemophilia.